Time, now, for some more recommendations for all you voracious readers out there. I don't really 'collect' books the way some people do, but when I spot one that I find to be beautiful, inspirational and instructional, I buy it. These books are often decorating or gardening books. They are books on architecture, design or popular culture. The books below flesh out most of what I'm looking for in a good book to add to my collection. I hope you'll find at least one or two of them intriguing! I've always loved Ralph Lauren. I'm not going to apologize for that, although there are many who feel I ought to. For some reason, Ralph, like Martha, is equally loved and despised. I've always seen very direct links between the two designers; they are both of Eastern European stock - Martha's family is from Poland; Ralph's is from Russia. Both of them have imported last names: Martha's was got by marriage and Ralph's was changed on a whim. (His actual last name is Lifshitz, but that doesn't look good on a label.) They are both from humble backgrounds and have built 'design empires' around American idealism. Ralph uses classic cinema to create his 'worlds' and Martha uses vintage but updated visions of domestic bliss to create hers. In a new book that celebrates Ralph Lauren's 40 years on the fashion scene, nearly all of his greatest collections are showcased in lavish style. 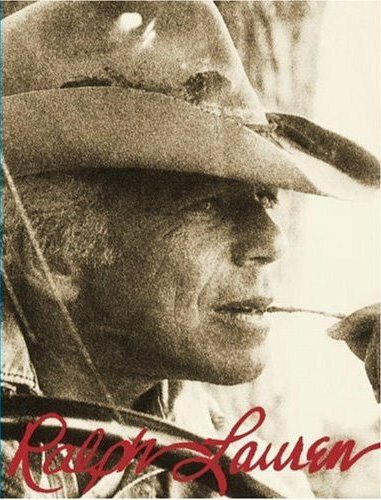 The book, written by Ralph Lauren, contains never-before-seen family photographs and nearly 500 pages of fashion spreads. The book is enormous (30 pounds in weight) and comes with a sturdy storage case. I consider it a collector's item, which makes it worth the $100 price tag. Residential neighbourhoods these days are...well...boring. They are linear, square, crammed with sameness and sapped of imagination. 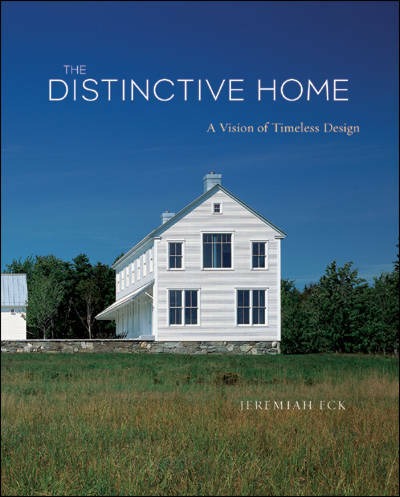 The Distinctive Home by Jeremiah Eck not only points out America's push towards sardine-like development, he presents beautiful alternatives in his work. The book is a showcase of some of his own designs and the designs of others. He makes excellent use of the space on the pages to demonstrate how a home can be designed, placed on a lot and built to be as dramatic, cost-effective and unique as possible. I love this book. I return to it often for ideas. The homes may not be to everyone's tastes, but the lessons the book imparts are truly important. Another gem of residential architectural innovation is found in this book. 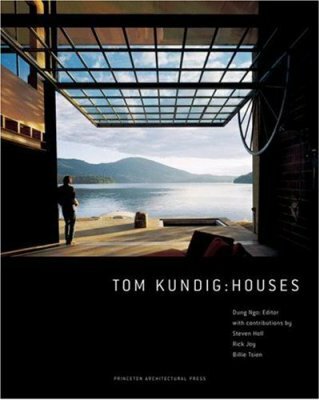 Tom Kundig is an exceptional architect who designs simple, geometric houses for maximum impact. His style is industrial and modern, but he warms his spaces by using dark and sumptuous materials. Large swaths of glass look out onto gorgeous scenes (mountains, lakes, forests and fields) and take excellent advantage of the surroundings. The book is beautifully illustrated and presents some truly innovative designs. I've always had a sock fetish, and growing up I always loved the sock toys my Nana would make for my brother and I. The book resurrects that age-old craft and makes it totally modern. 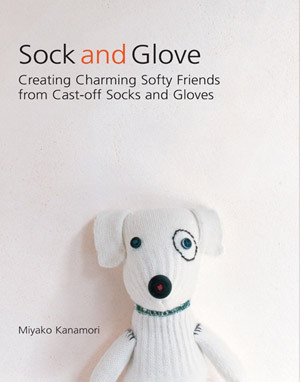 Miyako Kanamori presents these cute and cuddly creations in beautiful minimalism, giving the craft the appeal of high art. The instructions are useful, to a point, but for me the allure is just the modern presentation of something so kitsch, something I loved as a child and can now enjoy as an adult. As a matter of interest to Martha fans, let it be known that Ms. M has a collection of some 200,000 books, most of which are kept in a house of their own on her Bedford estate in New York. Martha had approached town council in Katonah to build a large, circular, Shaker-inspired 'library' on her property to house her book collection but was turned down. Don't worry. She'll find a way! Great Picks. I will have to check them out!